Sir Paul Ennals CBE has played a leadership role in joining up public and voluntary services for vulnerable people for many years. He was Chief Executive of the National Children’s Bureau (NCB) from 1998 to 2011, and was Chair of the Children’s Workforce Development Council (CWDC) from 2007 until its closure in 2012. He was closely involved in developing and implementing the Government’s “Every Child Matters” programme, bringing together all parts of the children and families sector to work more effectively together. He has previously worked with disabled children and their parents, and worked as a residential social worker. In 2004 he chaired the group drawing up the public health standards for the National Service Framework for Children. In 2005 he chaired the DH group to draft the children’s section of the Public Health White Paper. He was closely involved with the development of the Healthy Schools Programme, and the Healthy Child programme. 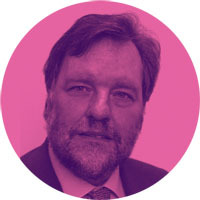 He chairs the Safeguarding Children Boards for South Tyneside and for the London borough of Haringey. He is Vice-Chair of a pioneering public health initiative in Newcastle, Ways to Wellness. He chairs the Voluntary Organisations Network for the North-east, VONNE. He chairs Fareshare North-east. He was knighted for services to children in 2009.